Doing anything for the weekend? If you plan to just laze around because you still haven't thought of anything yet, why not treat yourself with these delightful sales and workshop? 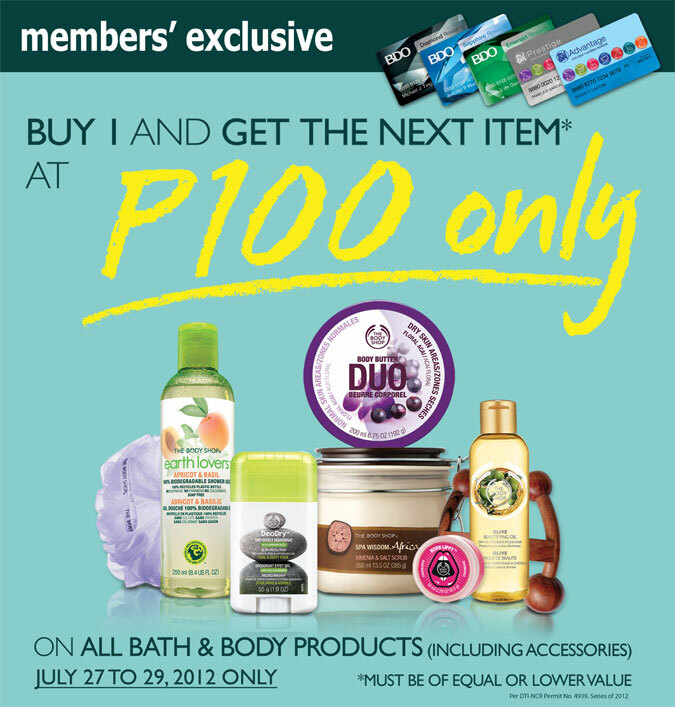 If you wanna try out bath and body care from the Bodyshop and would like to get some few pesos saved, this is the best time to get them! Buy one and get the next item, of lower or equal value, for only 100php! 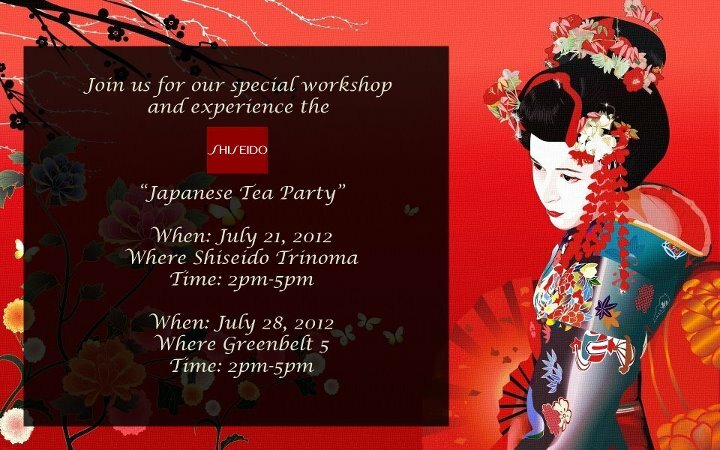 Now, this is something you must not miss -- learning great tips on Japanese skincare and makeup for free! 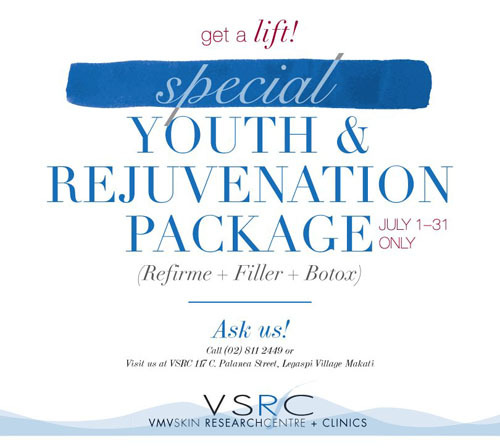 Call up Shiseido Greenbelt 5 (7299853) to reserve a slot today! 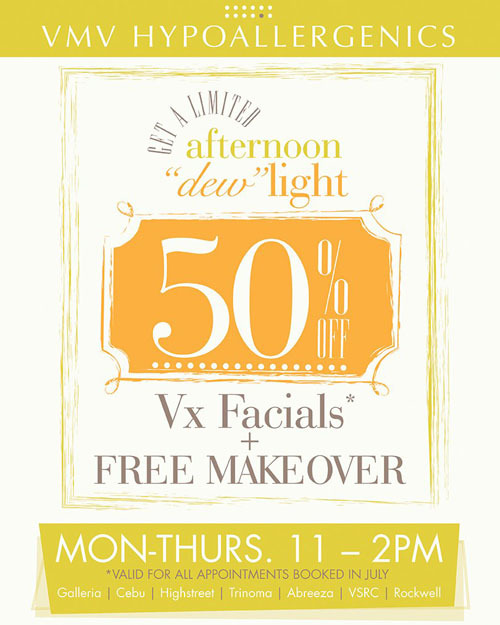 Please confirm the time from them because I know that the Trinoma workshop happened at 3-6PM. Dear Calendar, Seriously? Less than a week before July ends? You gotta reserve slots ASAP. Colorsilk and Luminista dyes are ready to kiss you hair (love how it puckered up mine)! Get them applied on your hair for FREE when you purchase them. I believe there's also a 10% discount on these products. 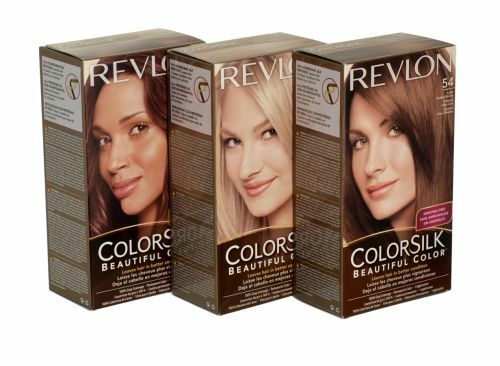 TIP: Don't wait till Revlon's last day (July 31st) since you might not be catered to because of the very long queue! And I do hope that 70% OFF Bluecross Sale at Debenhams starts tomorrow! interesting - i have never had my brows dyed! LOL how have you been? i've been out of the blogosphere for ages!